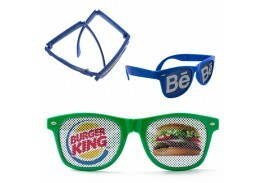 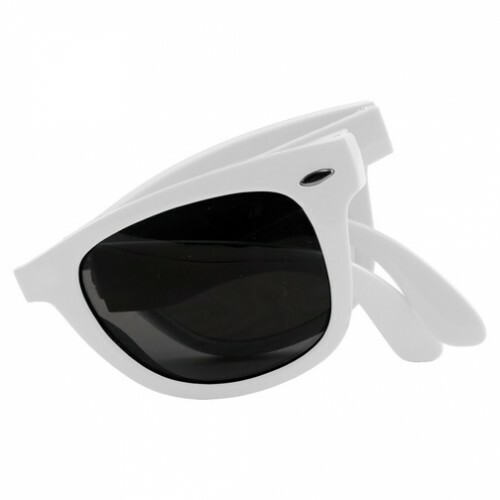 Ensure a successful promotion with a pair of our personalized logo lens sunglasses! 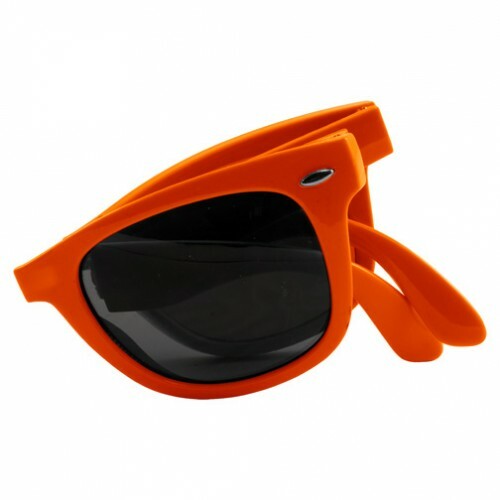 Featuring solid colored frames in your choice of Black, White, Royal Blue, Orange, Green and Red, these custom sunglasses easily fold between the lenses for easy carrying and storage. 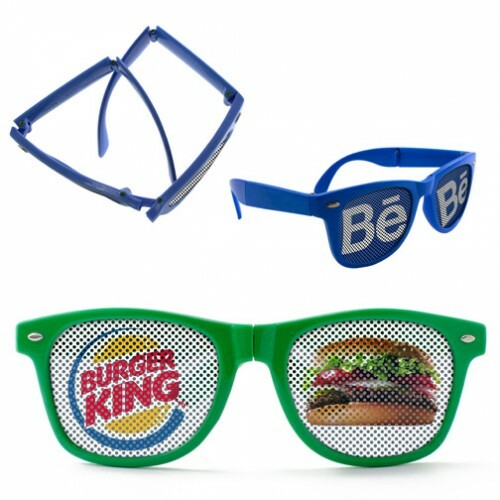 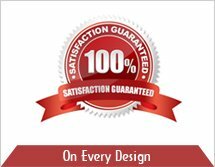 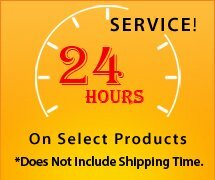 Along with your full color logo imprinted on both lens, you have a winning promotion everyone is sure to notice.